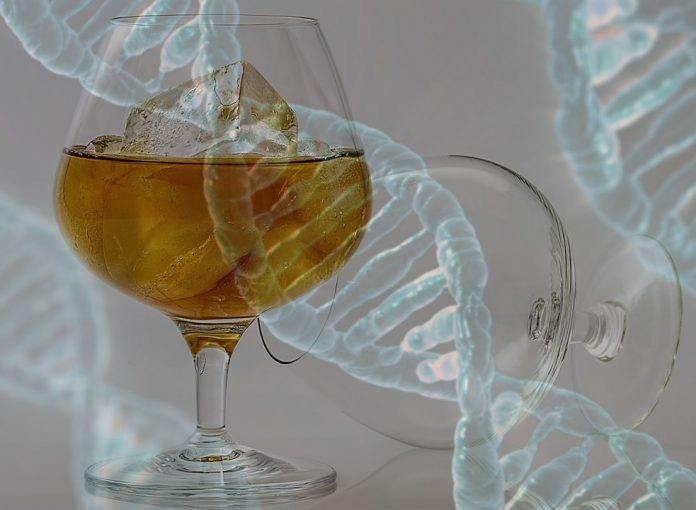 A study led by researchers at University of Texas (UT) Southwestern Medical Center has uncovered a gene, β-Klotho, which is linked to the regulation of the social consumption of alcohol. The researchers found that a gene variant, detected in approximately 40% of the 105,000 individuals within this study, is associated with a decreased desire to drink alcohol. Details of the study appeared November 28 in the Proceedings of the National Academy of Sciences, in an article entitled, “KLB Is Associated with Alcohol Drinking, and Its Gene Product β-Klotho Is Necessary for FGF21 Regulation of Alcohol Preference.” The article describes how researchers compared the genetics of light and heavy social drinkers of European ancestry participating in nearly four dozen other large population studies worldwide. In addition to providing samples for genetic analysis, the participants answered questionnaires on their weekly drinking habits. Heavy drinking was defined as more than 21 drinks per week for men and more than 14 drinks per week for women. Light drinking was considered to be 14 drinks or less per week for men and seven drinks or less per week for women. A “drink” was the equivalent of a small glass or wine or a half pint of beer. The β-Klotho protein is an essential receptor component for the endocrine FGFs, FGF19, and FGF21. Using mouse models and pharmacologic administration of FGF21, the researchers showed that β-Klotho in the brain controls alcohol drinking. In this part of the study, mice genetically unable to produce β-Klotho were offered a choice between water and alcohol. The genetically altered mice preferred alcohol, even when they were given the hormone FGF21, indicating that FGF21's ability to suppress the preference for alcohol depends on the presence of β-Klotho. “The gene in the current study seems to work via a feedback circuit that goes from the liver, which processes alcohol, to the brain, where β-Klotho and classic FGF21 receptors form a cellular machine, or receptor complex, which binds to the liver hormone FGF21 to signal the response to alcohol,” said David Mangelsdorf, Ph.D., a professor of molecular biology and pharmacology at UT Southwestern, and a corresponding author of the study.